These are very classic earrings for pierced ears designed by Toma Clark Haines for the TCH COLLECTION. 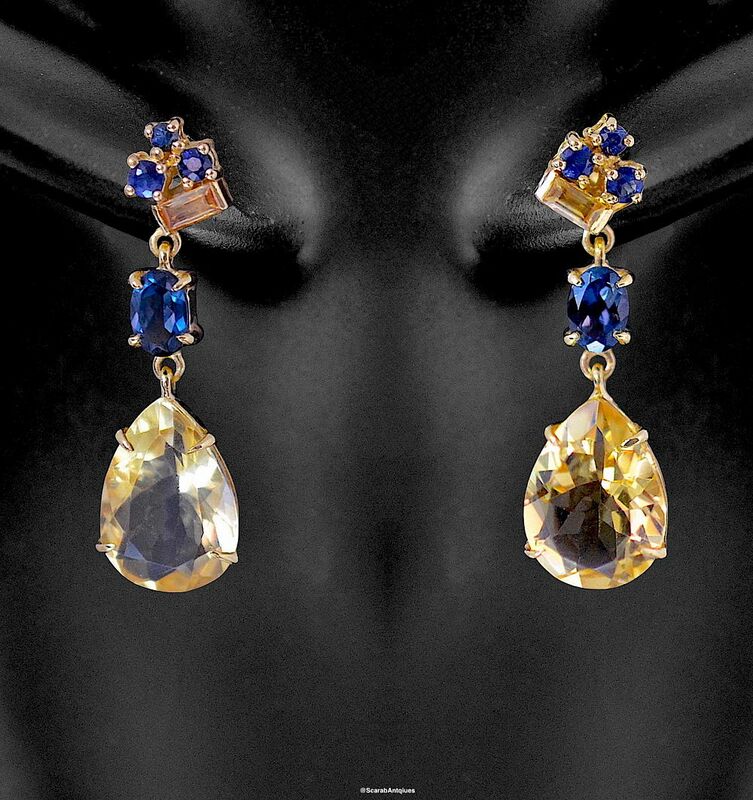 The top section comprises 3 blue sapphires with a yellow sapphire baguette set beneath. Each drop consists of an oval blue topaz from which hangs a pear shaped citrine all set in 18ct yellow gold vermeil. 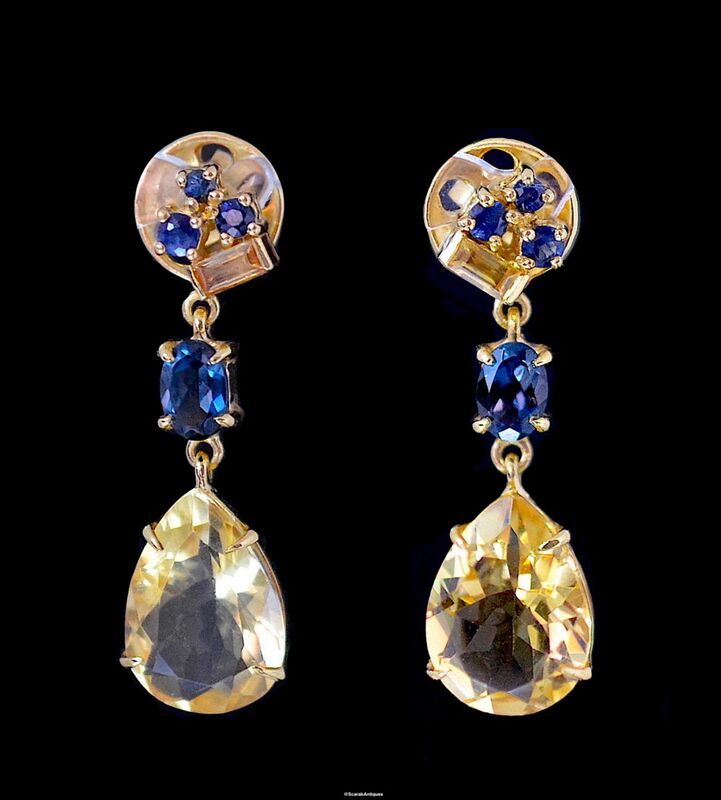 The twist with these earrings is that the top section is designed to be worn at an angle in the ears as the drops have been attached at one end of the rectangular yellow sapphire.